We strive to provide a high quality learning experience for every student. The following home learning materials are designed to assist you in your home studies in order to enrich your class-based learning or to enable you to make progress even if there is no teacher currently available to you. For our selection of BOOKS, please visit our home page and click on the links there. This is the whole 108-posture Yang Style Long Form on one DVD. The introduction explains the basic principles.of Tai Chi. The Form is then shown in two sections: from start to second close up and from second close up to finish. Each section is shown from the front and then from behind with subtitiles and verbal instructions. The complete form is then shown from the front without interruption and variations of the form are explored. This is the form originating from Yang Sao Chung, who did the form with the body inclined in his early days but in later life changed to the upright stance we see today, which is more in keeping with its roots in Chen style and is also seen in older versions of Yang Style. A list of the movements and a free MP3 audio file of the vocal instructions of the form is available on our Tai Chi Forms page. The Cheng Man Ching Form performed fast, slow and with explosive power (fa jing). Front and rear views of the form, with and without subtitles, together with an illustrated guide to principles, stances and variations, detailed tutorials with step-by-step instructions, diagrams and foot maps where appropriate to help you to learn the movements of the form. Possibly one of the clearest and most detailed introductions to Tai Chi on the market to date, this is an excellent home-study resource for anyone wishing to learn or improve the Cheng Man Ching sequence, while the fa jing footage will be of interest to experienced Tai Chi practitioners and other martial artists developing thier own internal power. This comprehensive training DVD shows the two variations of the traditional Yang Style Broadsword form taught in our classes. One is straightforward and easy to learn, the other is slightly more elaborate and allows further exploration of the "feel" and qualities of the weapon. We believe this to be the most comprehensive Ba Gua DVD on the market. As the title suggests, it is designed to take someone with no previous knowledge of Ba Gua through the traditional learning stages of this martial art, laying careful and secure foundations along the way until the highest level, the so-called "spontaneous state", is reached. * Walking the eight trigram "Ba Gua"
Traditional training methods are used and the structure and principles are clearly explained and demonstrated throughout. This is classical Cheng Ting Hua Ba Gua Zhang, as taught to us by our teacher, Master Zhu Guang of Beijing. Basically, it's an entire martial training system on one DVD for the price of a few lessons. 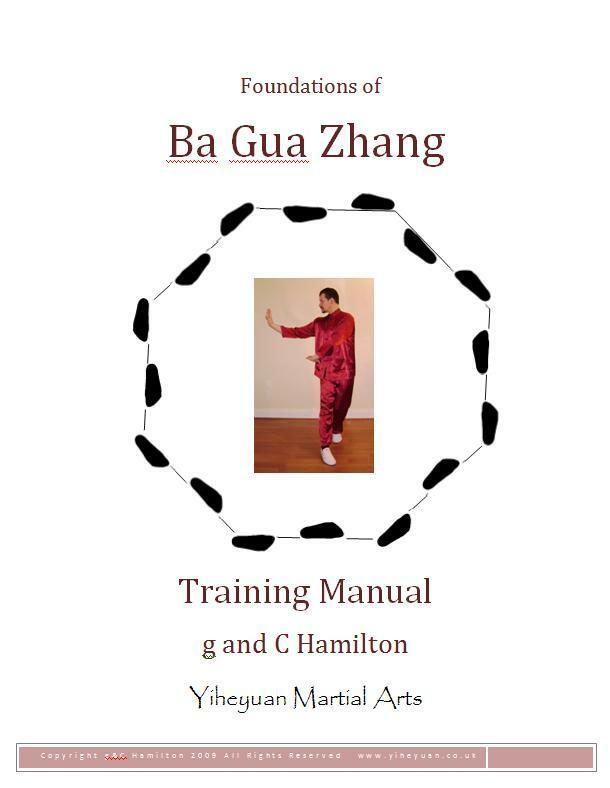 Designed to accompany our DVD "Ba Gua Zhang: From Mystery to Mastery" , this is a comprehensive guide to the basic training methods of Cheng Ting Hua Ba Gua Zhang. The stationary postures of all eight "mother palms". our interpretation of the "Seventeen Principles of Bagua" and the "Total Song of Ba Gua Zhang" (Two of the of the classic texts of Bagua). You can buy this manual as a PDF file to print off or to read on your PC, iPad or other mobile device. From anywhere in the world, simply send your payment securely via PayPal using a valid email address. When we receive your payment we will send the PDF file to the email address you provided. Designed to accompany our video instructions on the Wu Dang Stick Forms, this is a fully-illustrated guide which takes you step-by-step though the two forms. 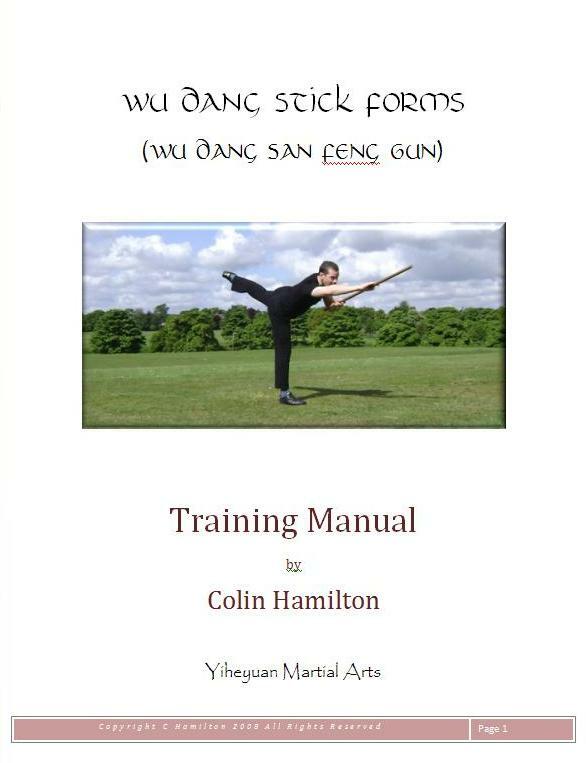 The Wu Dang Stick forms were kindly taught to us by Nigel Sutton of the Zhong Ding Chinese Martial Arts Association. The sequences are a great form of exercise while also training the basic skills required to use this practical instrument for self-protection - a stick the length of a typical broom handle which is short enough to be easily wielded yet long enough to maintain a sensible distance from an assailant. to print off or to read on your PC, iPad or other mobile device. The videos are available free on YouTube. Click the following links to see the forms performed as viewed from front and back and also with verbal instructions.